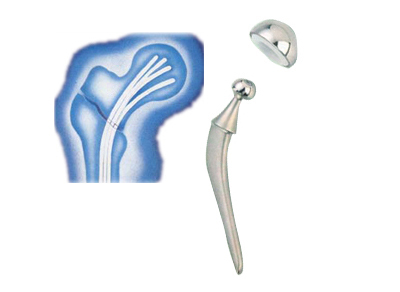 Orthopedic implants are used to surgically replace damaged or troubled joints. An implant procedure involves removal of the damaged joint and an artificial prosthesis replacement. We manufacture Total Hip Replacement items, both Stainless Steel Stems and UHMW– Polyethylene (“CHIRULEN”) Cups. We also manufacture and sell certain surgical consumables like endernails and wound suction drainage systems (Variodrains). Please visit Ormed to know about our entire range of orthopaedic products.